Meet Pixie. 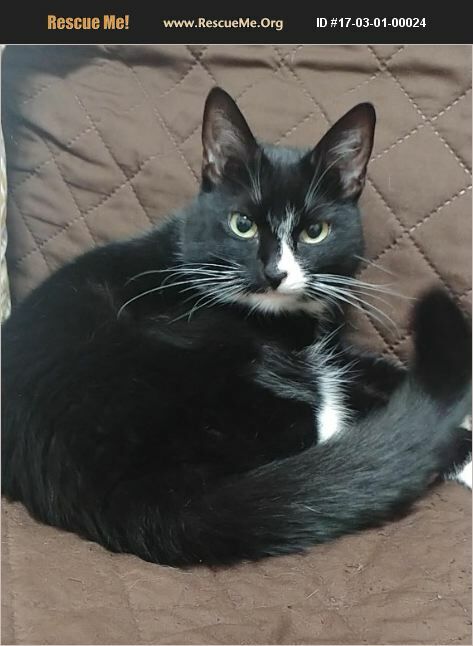 She is an adorable, 1.5 year old black and white short haired female. Pixie loves to attach herself to someone, particularly likes women, and would do great in a home where she is the center of attention. Pixie is spayed, microchipped, vaccinated, Felv/FIV tested, dewormed, and current on flea prevention. If you're interested in Pixie, please contact Rescue Angels.